Please note this is for employers to post their jobs only, not people looking for work. Are you having trouble finding employees on a casual base's, then why not try using working holiday makers who have the required visa`s. We have hundred of inquiries every week from working holiday makers looking for casual work around Australia, most of them have a good command of English, are well educated and have experience in many different fields. Working holiday maker's can work up to 6mts with any one employer and then they have to change employers. 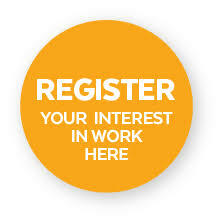 If you are a recruitment agent and would like to advertise on our website please contact us for details or login below fill out the form and your jobs will be posted on workstay.com.au. If you would like to Post your jobs on workstay.com.au all you need to do, is go to the state that you wish to advertise your job in, fill in the form and the job will be posted to our site. Job done!!!. Fill in the form with your details, you will get a password that will log you on, then fill in the Job application form and you job will be listed straight away on our website. Its as easy as that.If you do not have time email me and I`m happy to post for you.